x6 39,90 € pour 6 unités ou plus. La Rioja Alta Gran Reserva 904 doit son nom à un évènement bien précis de l’histoire du domaine. Un des fondateurs, Alfredo Ardanza, propose en effet en 1904 au domaine La Rioja Alta de fusionner avec son domaine Ardanza. En commémoration de cette décision majeure, advenue l’année même d’une des meilleures récoltes à Haro, le domaine entame la production de ce Reserva 1904 – qui perdra par la suite, tout comme le Reserva 1890, le 1 initial. Time flies, and the 904 for sale is already the 2009 Gran Reserva 904, as they didn't bottle it in 2008. 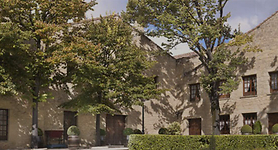 They are only going to bottle their top wines in very good and excellent vintages, so there will be a 2010 and 2011 but no 2012, 2013 or 2014. This super classical cuvée showcases the wines from Haro, silky and elegant after long aging in oak and a good future in bottle. 2009 was a powerful vintage, ripe but with good balance. The blend is approximately 90% Tempranillo and 10% Graciano, fermented in stainless steel with a 78-day natural malolactic. The aging was in four-year-old American oak barrels crafted by their own coopers; the wines aged from April 2010 until April 2014. During that time, the wine was racked every six months, to be finally bottled in November 2014. This is usually my favorite wine from the portfolio, where the balance between aging and youth reaches its highest point. It's developed but it keeps some fruit character, plenty of spices and balsamic aromas. The palate is polished but has some clout, with clean, focused flavors and a long, spicy and tasty finish. This represents good value for the quality it delivers. 150,000 bottles produced. Because they didn't produce 890 in 2009, the grapes for the 890 were in this 904. As a curiosity, they uncorked a 1982, which was superb. - Luis Gutiérrez. 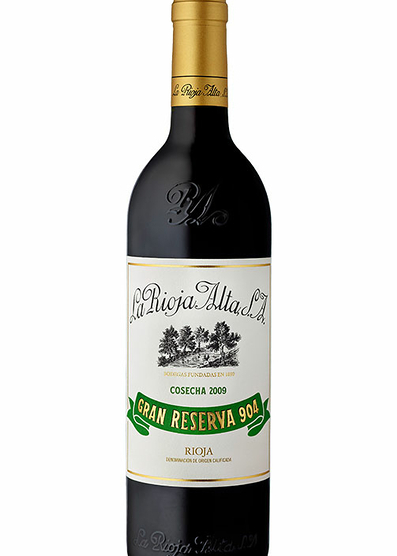 This is a driven and super tight Gran Reserva with dark berries and hints of spice and cedar. A spicy red-pepper undertone and some dried flowers. Full to medium body, integrated tannins and a superb finish. A great wine. Available in September 2018. A wine for the cellar, but why wait? Color: rubí, borde teja. Aroma: cuero muy curtido, fruta al licor, habano, especiado. Boca: ligero, equilibrado, crianza clásica, amargoso, matices de reducción. Surface totale du vignoble: 485 ha. No dudo que dentro de 10 años siga estando fabuloso, pero yo no esperaría más porque no sé cómo estaré yo. Maravilloso vino !!!!! Claro ejemplo de que no es necesario pagar 150€ para disfrutar de un vinazo.